Have you decided to take your job search to the next level this year? 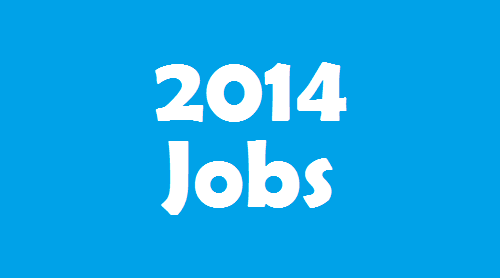 Then you should know these latest trends that will have an impact on your job search in 2014! Improve your job search game by staying ahead of the latest trends and understanding what employers are seeking. Check out these job search trends of 2014 and hopefully you will land the job you’ve always wanted! In 2014 you’ll need to become more tech-savvy. We saw the rise of the mobile job search in 2013 and we’re not just talking about your LinkedIn profile or tweeting several times a day. Ensure you have perfected an electronic version of your résumé so that it can easily be submitted to hiring managers. By doing this, it will ensure you’re prepared for your next opportunity that comes along your way. Hold on to your pants, because this year the job search will become more digital than ever. This trend is already here and will continue to rise! Mobile Apps seem to be the wave of the future for applying for jobs! Careerbuilder.com has a free iPhone app, where users are able to perform a search for jobs available by using keywords, salaries and descriptions. Another free app available is The Career Search by LinkUp. This app allows users to perform a search of job available and research careers. Working remotely will be the norm. Talented employees don’t have to work in a traditional work setting and employers are beginning to notice. Agencies are recruiting people and extending them the option to work from home. In addition to working remotely, more jobseekers are choosing to become freelancers. There has been an increase of workers deciding to freelance their services. This trend will only increase in numbers over the next 10 years. Freelance work is becoming a popular trend of employment for job seekers. This seems to be another trend there is going to be more emphasis on. Recruiters are continually checking social media to research candidates. Ensure you are presenting oneself on these platforms in a good light, as it may affect your job search. Companies are also taking advantage of video interviews via Skype to screen the best candidates for their company. Not only is your online presence going to matter during your job search, but the way you utilize technology will as well. Don’t just copy and paste your résumé into LinkedIn. Your LinkedIn profile should be a complement to your résumé. Your profile is used to connect with people in your network and that is how they will find you on LinkedIn. Your profile should be more engaging than a résumé and therefore should be more personal. Don’t forget to be creative in your summary and show passion, motivation and personality! Ensure to utilize Twitter for following companies you’re interested in with job opportunities. You can locate job postings and follow companies to learn more if you would like to pursue opportunities with them. Unlike other websites recruiters can post job announcements on Twitter for free! Hiring Managers are requesting writing samples for most professional jobs. Employers are placing a high value on written communication as they screen candidates. Candidates are required in some instances to submit writing samples even for internships. In addition, they may be asked to send a writing sample in addition to a résumé or bring with them in a job interview. Recruiters are plagued with an assortment of technologies and crunched for time. The standard résumé review was roughly 20 seconds, now 5 seconds is the norm. It’s imperative to match your résumé to each job announcement to connect with the employer and the position. Hiring managers have more candidates to evaluate in their search for the perfect employee to their need for talent. Your goal is to reach the top of the candidate list, not get your career document thrown in the trash pile. Follow-up letters are becoming more common sent via email, typically within 24 hours of an interview. Candidates that want to stand out and be remembered should reference key points uncovered during their interview. The idea is to stand out from the hundreds of candidates applying for the same position. Related: Should I send a follow up cover letter? A candidate’s job search will continue even if they are gainfully employed. A job seekers job search doesn’t end after they land a job. Regardless of your current status, your job search will continue. A great candidate is continually seeking new positions and opportunities, regardless if they are happily employed. We don’t know what opportunities will present themselves in 2014, so candidates need to be open to opportunities. So keep these trends in mind when searching for your next dream job!